Born in Castro Valley, California on November 29th, 1988, Casey Driscoll scarcely remembers a time when he didn't play the fiddle. Beginning at age 6 at the behest of his mother, he started learning old time and Texas-style fiddling from a local fiddle teacher. Then his father's purchase of a Stephane Grapelli cd set moved him in a new direction, toward the world of swing and jazz. It put him on a path that lead to Belmont University in 2007, where he could study fiddle under many great teachers including the legendary Buddy Spicher. 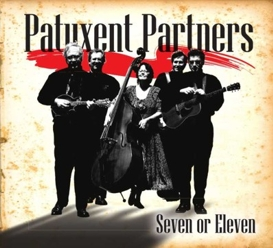 It lead him to south Georgia to meet and learn from fiddle legend Frank Maloy (author of "Nancy's After Hours Blues," featured on this collection), who pegged Casey to record Frank Maloy's 159 Original Georgia Fiddle Tunes (also available on Patuxent Music). And it led to meeting the other like-minded musicians featured here, with whom he could play the music he loves. And of course all of that leads to this album you're holding in your hands. 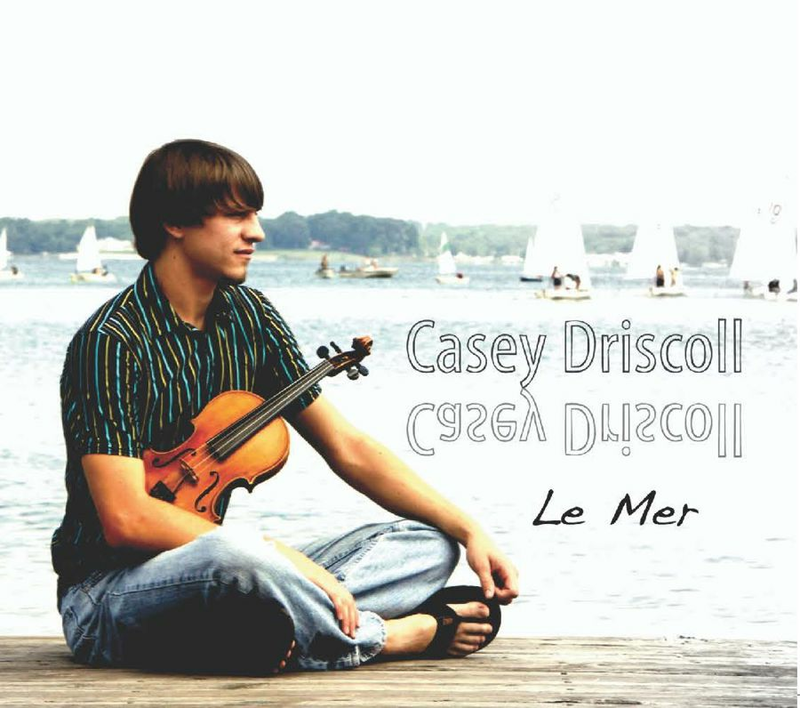 Le Mer, Casey Driscoll's second release with Patuxent Music, finds him much more "Hot Club" than Texas this time around. This is no more evident than in the opening track, as Casey and the boys hit the ground strutting with Django's "HCQ Strut," showcasing the influence Grappelli has had on Driscoll. This is followed immediately by a beautiful rendition of the title track, "Le Mer" (featuring some exquisite counterpoint guitar work by Brennen Ernst). 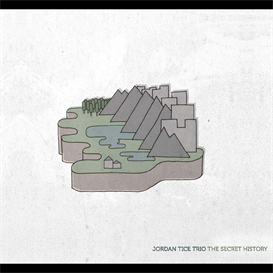 The two opening tracks work well together, drawing the listener in with a compelling contrast; coupled together they serve as the album's opening statement. But cases aren't won with opening statements and two songs don't make a record. Fortunately though, Le Mer keeps delivering. Enough standards are included to serve as an introduction to swing that will still have new arrivals tapping their feet. 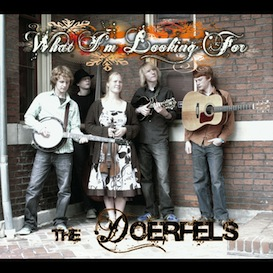 I dare any listener to sit still while listening to "Avalon," which finds Driscoll in full "fiddle hero" mode. "Ain't Misbehavin'" and "Cry Me a River" will make you want to go somewhere dark and dance real close. But you'll have to turn the lights back on and kickstart the party when the rousing rendition of "Dinah" hits you with its double-barrel guitars (Brennen Ernst and Danny Knicely), or when "Mack the Knife" takes you on a joyride of key changes. Casey even references his Texas roots with "Take Me Back To Tulsa," complete with vocals, and how about that lap steel? Swing is an ensemble music, and Casey Driscoll has assembled quite the ensemble to help present his music. With the twin guitars of Master-of-All-Trades Danny Knicely and wunderkind Brennen Ernst holding things down with the estimable Ralph Gordon on bass and the proper drum work of Anders Eliasson, the foundation is set for Lynn Kasdorf's lap steel, the virtuosic mandolin of Taylor Baker, and of course the resplendent fiddling of Casey Driscoll, to take it on home. Now play that fiddle, boy!